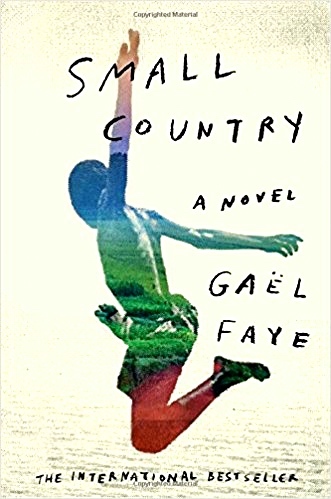 NOTE: This debut novel by Gael Faye was WINNER of the Prix Goncourt des Lyceens for 2016, one of France’s highest literary awards. Set in Burundi from 1992 – 1995, in the lead-up to that nation’s genocidal civil war, Small Country, for all its sad events, is far more a story of a child’s coming of age than it is a war story. The Prologue sets the tone, as a father tries to explain to his son the complex cultural differences among the people in his family and throughout the country. The Hutu, he explains, are the biggest of the three groups of residents; the Tutsis, their own family group, are a much smaller group; and the Twa pygmies, a third group, are the smallest number of all. He also explains that these people often have recognizable physical differences in height and facial structure, so their racial connections are sometimes physically obvious – and sometimes not, due to intermarriage. It is far more difficult for Papa to make son Gabriel understand why these groups often do not get along, since they all live in the same country, speak the same language, and have the same God. Making life even more complicated, the country is small and borders are “friendly.” People frequently marry and move into or out of neighboring countries at will. 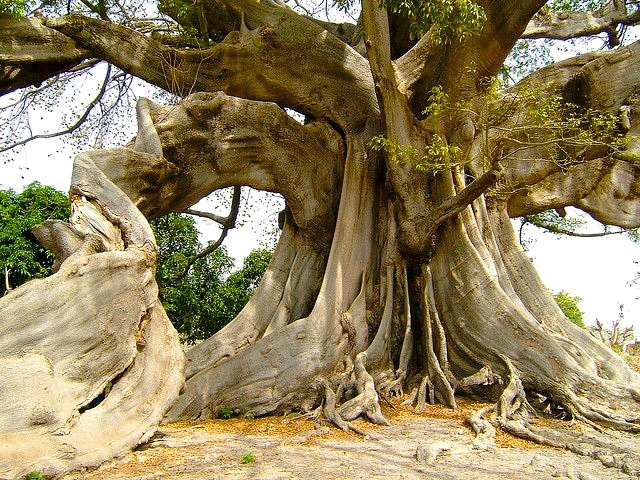 On a trip to Zaire, the family sees an old kapok tree, which leads the father to talk about the business of kapok. The tree here is 800 years old. The information in the two preceding paragraphs all appears in the first six pages of this remarkably astute and intense novel. Chapter One begins the actual narrative, Gabriel’s story, told in his own words, as a child in Burundi from ages ten to thirteen – a vibrant, positive story of growing up surrounded by friends and family from all ethnic groups during the key years which changed not only his life but the lives of everyone he knew. It is so full of personal detail and comes alive so fully that it is difficult to remember that this is fiction and not a memoir. The confusion is understandable. 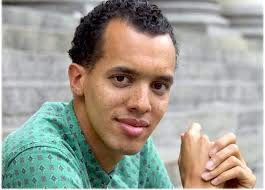 The author himself lived a life which paralleled Gaby’s in key elements during a happy childhood in Burundi in the years leading up to one of the bloodiest, most violent ethnic wars in history, before his eventual arrival in Paris, a city vastly different from Bujumbura. 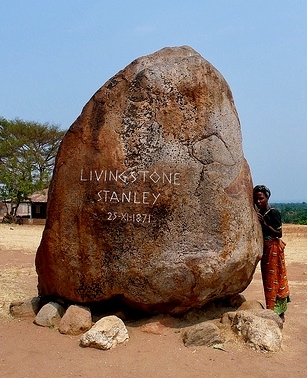 The Livingstone Stanley monument in Zaire, which the family sees on a weekend trip there. A key time in Gaby’s life, though he does not recognize it at the time, begins when he and his family take a trip to visit Jacques, a long-time friend, in Zaire in 1992. Mother and father have not spoken much for the past several weeks, and the border crossing, on its own, is difficult, with unruly crowds and hyperinflation causing unexpected problems. “In Mobutu’s Zaire, hyperinflation meant paying for a glass of water with banknotes of five million zaires.” People carrying wheelbarrows full of cash “pleaded for a few million zaires to help them survive the unfortunate consequences of the fall of the Berlin Wall.” Papa ends up paying the bribes that all the border checks have really been about, arriving, finally, at Jacques’s house. The dinner meal is filled with tension. Jacques himself has been urged by his sister to join her in Belgium, which he has rejected, and he likewise rejects Papa’s suggestion that he come with them and settle in Bujumbura. Maman, who grew up in Rwanda, which is already dealing with a genocidal war between Tutsi and Hutu, likewise rejects his coming to Bujumbura. 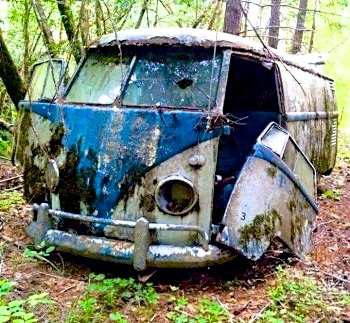 The carcass of a VW Combi in the wasteland is the site of meetings between Gaby and four friends who regularly talk about their lives and their futures. 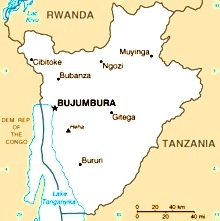 Map of Burundi and its neighbors. Zaire, as the country was known in the early 1990s, is now the Democratic Republic of Congo. Gradually, reality becomes ever more violent. Hutu extremists are trying to take over, and people fear widespread slaughter. The shooting down of the plane carrying both the president of Burundi and the president of Rwanda, and the blaming of the Tutsis lead to roadblocks, murders of families, and the inability of Tutsis like Gaby and family to leave their homes. Problems come to a head as thousands of people die, and when two of Gaby’s friends call a meeting of their group to discuss a murder, Gaby decides that he no longer has any choice about taking a stand. Twenty years later, he fills in the details of what has happened between 1995, when he left for France, and 2015, when he looks back on his life trying decide whether to return to Burundi in response to the summons he has received in the opening paragraphs. Beautifully organized and developed; sensitively depicted in terms of the human costs, both physical and psychological; vibrantly alive in its historical setting and atmosphere; enlightening in its insights into the lives the children affected; and grand in its scope and emotional impact, Small Country is now at the top of my Favorites List for the year. It is a gem.